Aquarium staff and volunteers work tirelessly to ensure the animals in their care have everything they need to stay healthy and thrive. That requires going above and beyond just feedings and tank cleanings. For some animals, mental enrichment is a necessary part of life. Our Marine Mammal team, for example, provides enrichment for our seals and sea lions. Daily training sessions and playtime with toys allows these animals to be physically active through manipulating objects, keep their brains active by learning new behaviors and to connect with their trainers. 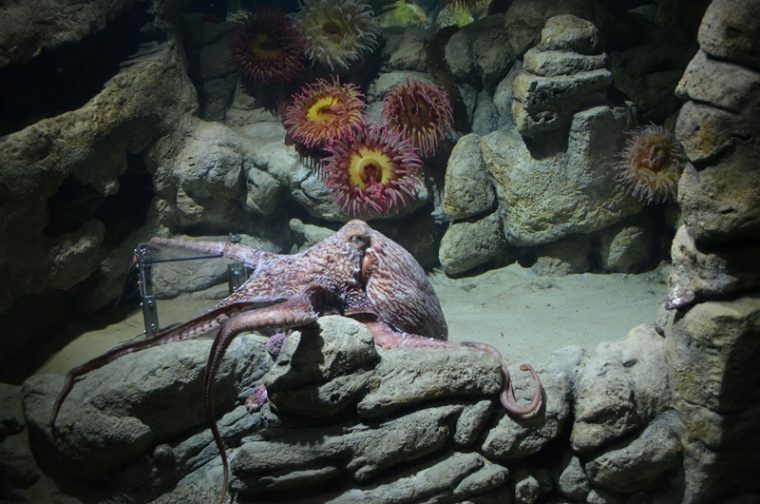 Two animals that require this type of enrichment are the giant Pacific octopuses (Enteroctopus dofleini). 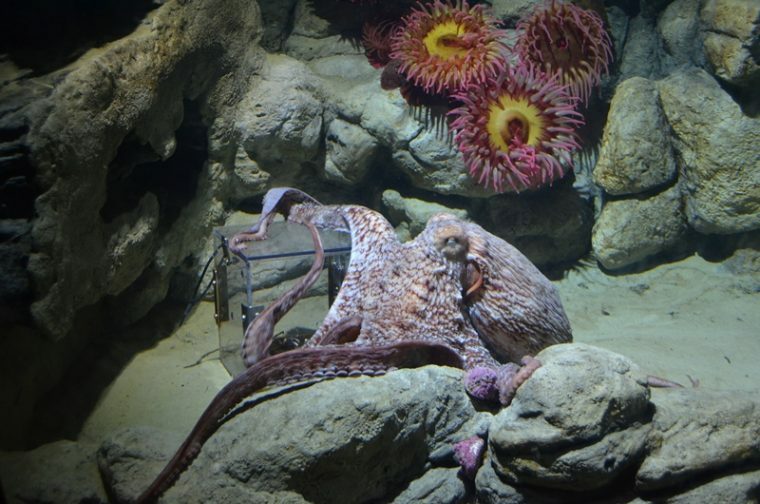 In addition to their suction cups and eight flexible arms, octopuses are often known for their keen intellect and ability to learn. 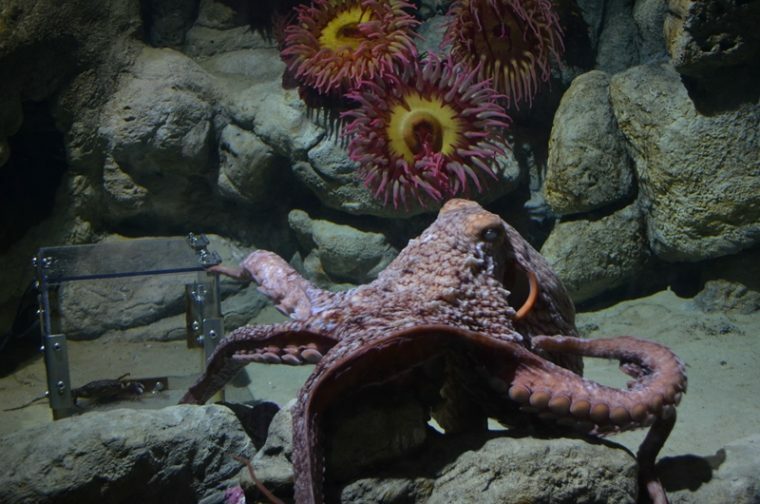 Anna and Sy, the Aquarium’s newest octopus additions, are no exception! 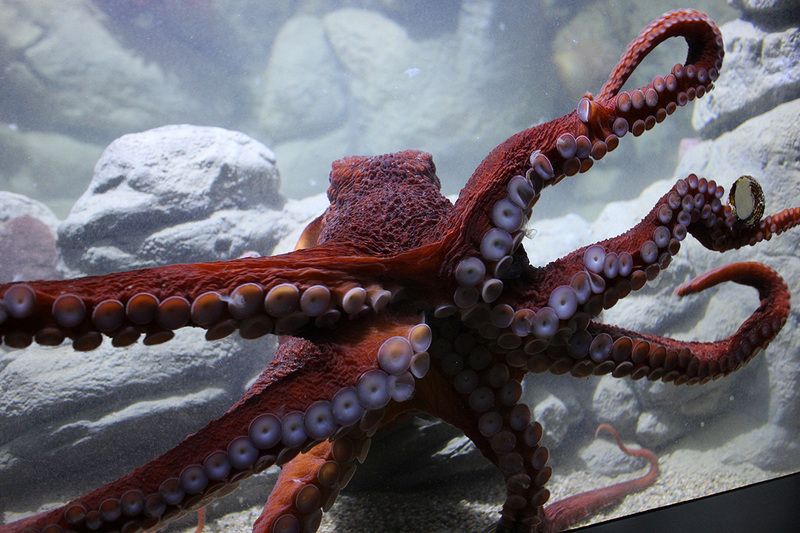 Staff is always working to find new ways to enrich the octopuses’ experience. A good back scratch or arm wrestle can sometimes do the trick…but puzzle boxes are a favorite here at Central Wharf. 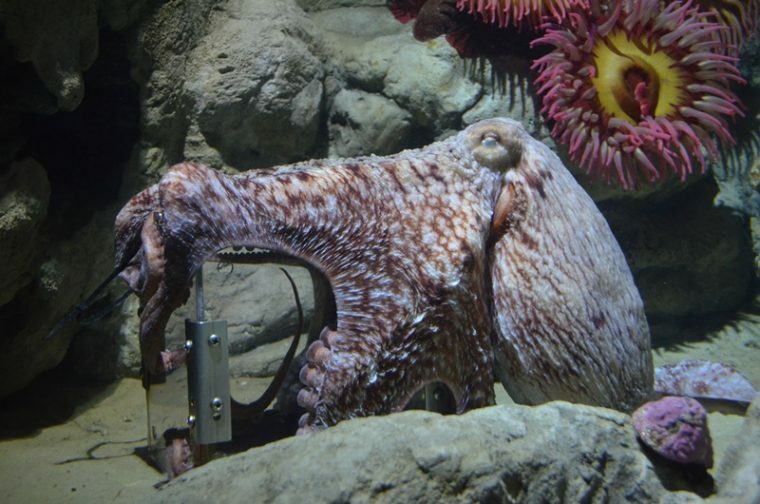 So what does a puzzle box for an octopus look like? Simple! 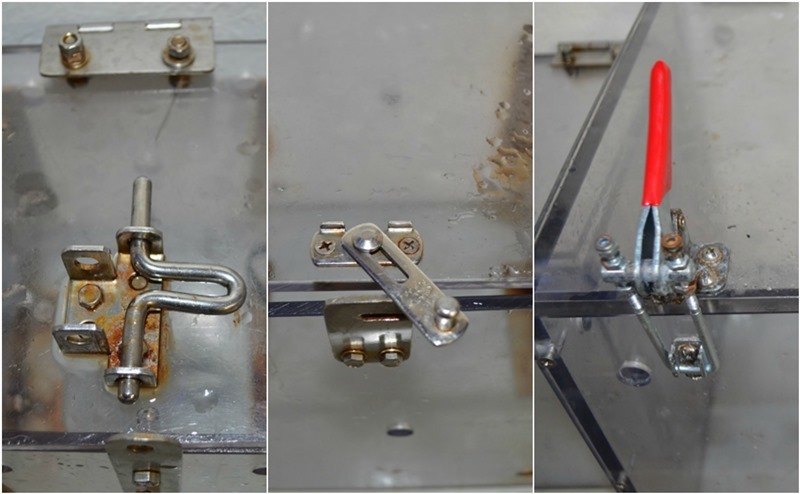 It’s a clear acrylic cube that has a hinged top secured by some sort of locking latch. And how does it work? Simple! To tempt the octopus to engage with the puzzle, a favorite crab treat is added inside and the box closed. Once the octopus spots the crab, it gets to work figuring out how the latch opens. After some initial trial and error, the octopus will figure out the latch, pop open the box and then it’s time to snack! 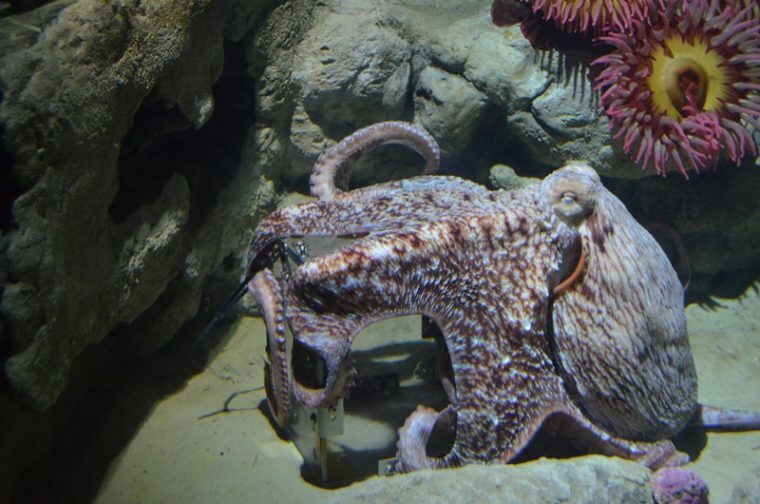 Octopuses have an ability to learn and remember puzzle solutions: thus, a puzzle can become routine and no longer challenging over time. 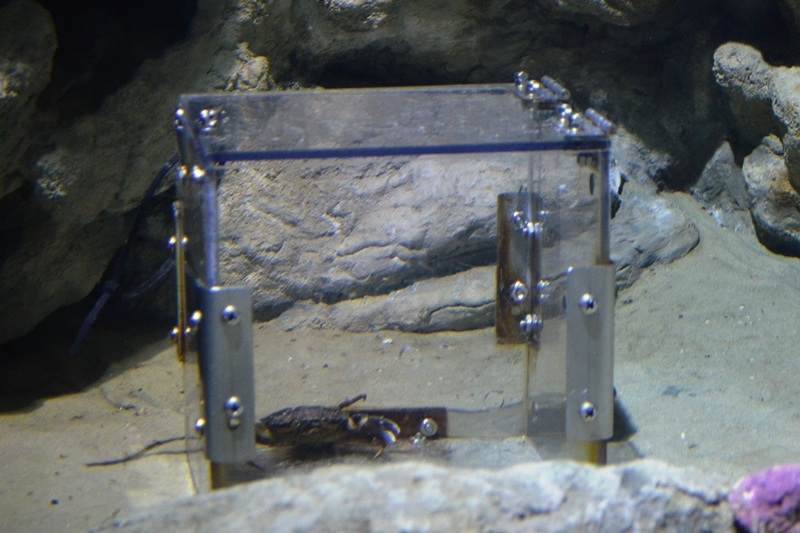 Fortunately, there are three puzzle boxes of different sizes and with different latches to keep Aquarium octopuses on their toes (and toes and toes and toes…). 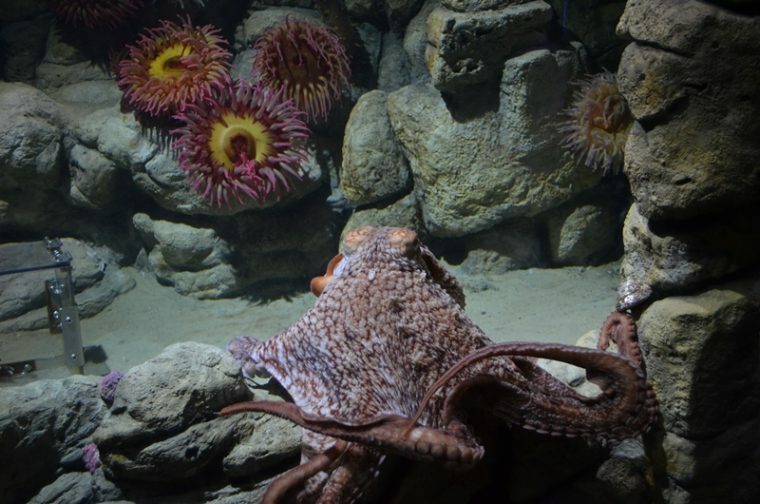 And to make sure they don’t get used to one type of enrichment, the octopuses are given the boxes only once or twice a week. This keeps the activity fresh and the octopuses engaged. Watch Anna tackle her puzzle box. Like their wild counterparts, Anna and Sy can be more active in the evening hours, so visitors don’t often see them opening the puzzles. 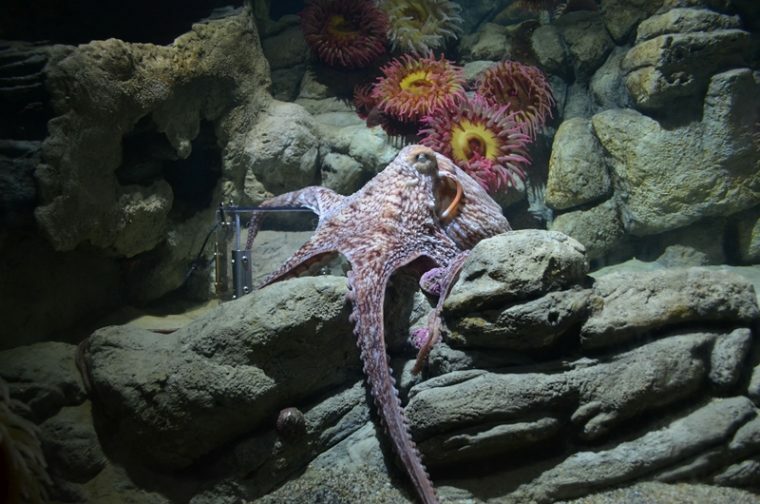 However, Anna recently put on a show for some early morning visitors, moving from one part of her tank to the other, exploring the box and wiggling the latch. She didn’t open the box on that particular occasion, but both she and her exhibit-mate have worked out solutions to their own puzzle over the past few months. With more puzzle options and enrichment activities on the way, both Anna and Sy will be able to keep their brains working, ensuring they stay healthy and thrive in Boston.